Here at KP Dry lining Manchester we take great pride in providing an all-round service. This service is tailored to your needs and requirements. We provide an excellent plastering service to go along with our great ceiling and partitions services. All our plasterers are highly skilled and capable of doing dry lining with ease. There’s a lot of history to plastering. Lots of different techniques and thoughts that go in to the process. Dry lining is just one of them and our team are well versed in everything they need to know. You can just let them know what needs to be done, and where, and watch them work their magic. KP Ceilings also offer a comprehensive dry lining service. Dry lining is an alternative to the regular and more traditional practice of wet plastering. Wet plastering is what people think of when thinking of plastering; wet plaster is applied to an area and has to be left to dry before it can be decorated. Sometimes you won’t need to wait that long or go that far, and that’s when dry lining comes in. There are some situations where dry lining isn’t appropriate and you should go with wet plastering. If we feel that wet plastering is the better option we’ll let you know. For the most part though dry lining is a good idea and a great alternative. Dry lining is quicker and far less messy than traditional plastering. Dry Lining is the process whereby sheets of plasterboard, essentially premade and dried plaster, is fitted to an unfinished surface. This can be things like brick, masonry, or anything else that needs covering. 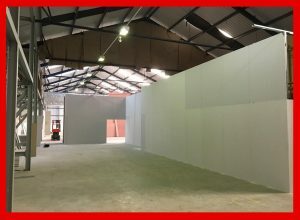 The plasterboard can also be applied directly to wood or metal stud partitions. The plasterboard is fixed to the walls by nails, screws, or a drywall adhesive designed for this job. There is also the option to add a layer of insulation to the back of the dry lining to improve the thermal properties of your home. 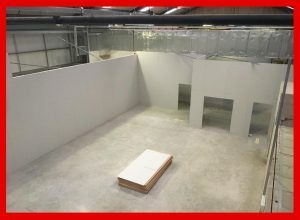 If you attach the dry lining to a stud partition then the insulation can be added and it fills cavity spaces to make the whole thing more solid and secure. Once the boards have been securely fitted the joints are then finished off with tape and a joint compound to keep everything secured. The boards are also sealed with a primer to finish off the securing process. The plasterboard may need to be sanded down a little but outside of that the board is almost immediately ready to be decorated. Modern plasterboard used in dry lining is available in a variety of different lengths, widths, and thickness to accommodate all needs and spaces. They’re also very versatile and can be used to protect from moisture, acoustics and fire. This means it can be utilised in lots of different rooms around your home and office, and can be placed strategically to offer the best protection.